Now, as a sworn fanatic of Star Trek who isn’t really impressed with Star Wars, I wasn’t sure whether to laugh or cry. Either way, I’m pretty sure my field trip here in the fifth grade never mentioned Darth Vader up on the building; I think we all would have been a lot more interested. 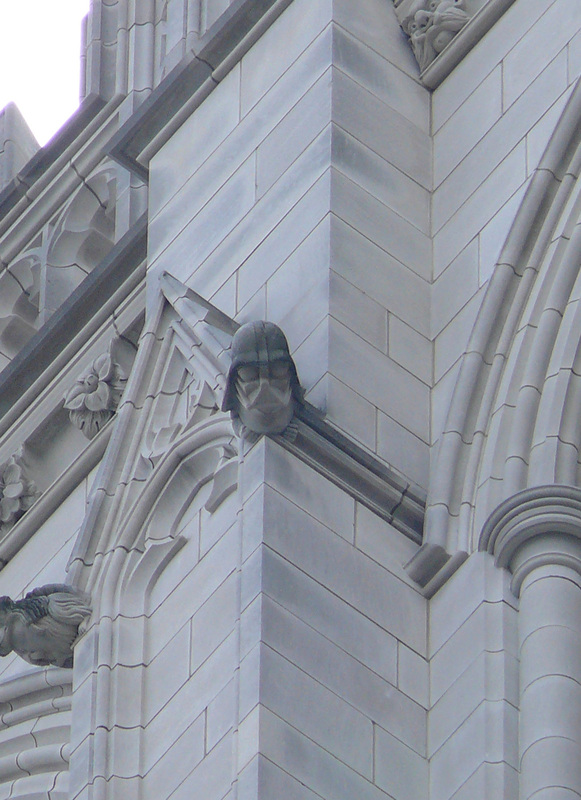 It turns out when the National Cathedral was under construction (a laborious process taking from 1907-1990), National Geographic had a contest in 1980 for what four of the small gargoyles should look like. Darth Vader placed third. As Wikipedia says: “The Cathedral boasts what is probably the world’s only sculpture of Darth Vader on a religious building.” Yeah, probably.